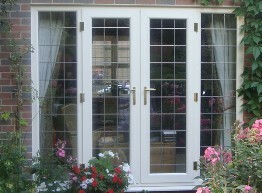 Our range of doors are designed to fit in perfectly with the window system. The standard door uses a two hook , four roller and single deadbolt lock for security and peace of mind. A safety catch device is avialable as an optional extra and takes theplace of a security chain, being much easier to use it is also tidier than a chain and is built into the door during manufacture. 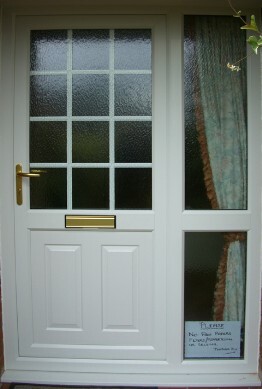 The 2D hinges we use are both slim and strong , giving easy adjustment while not taking over the door. A large range of panels are available with many stained glass designs to choose from.